Whenever I have something all black or black with white, my immediate thought is to wear red with it. I feel like it breaks up the intensity of the black, and also gives me an excuse to wear a red lip. Ha! 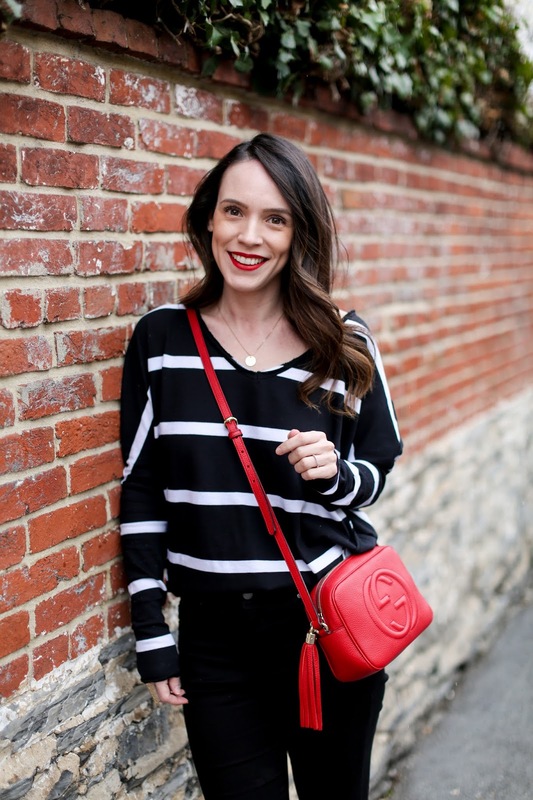 As soon as I put on this black/white slouchy top, I immediately grabbed for my red Gucci bag. 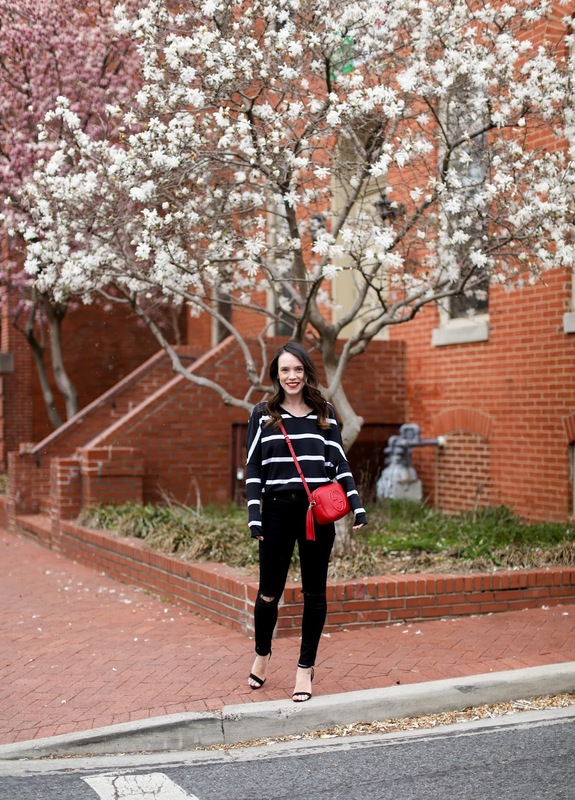 It's still a bit chilly so simple black jeans was the best idea, but I can see this top worn with a white denim skirt and sneakers for spring and then with cut off shorts and slides for summer. Speaking of cut off shorts, I got these from today's Shopbop sale that was just announced! I had my eye on them since last year but they sold out so quickly, so the sale was a perfect time to finally get them. The sale goes from 4/11-4/14, and you can get 20% off anything under $500 and 25% off everything over $500! Use code EVENT18 when checking out to get the discount. There are a handful of my standard wardrobe pieces on sale that I linked in the first line of the widget below. In addition to those, I also combed through to find other great styles worth checking out from the sale so be sure to look at everything below because there are some great finds!